Thomas John Hackathorn and (probably) son, George. Photo courtesy of Merrianne Hackathorn. Thomas John Hackathorn, my great-grandfather, was a boy of ten years old when his family was caught in the midst of this flood. 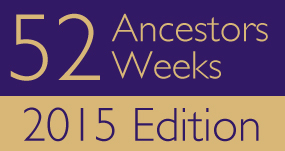 You can read more about the family’s experience here in the week three posting of the 52 Ancestors Challenge. I am trying to imagine the destruction of the flood through the eyes of a boy and wonder if he was scared, or if he found it exciting, or perhaps a bit of both? It is a little difficult reconstructing Thomas’ life after the flood. We know that his father, Jacob, contracted smallpox and died within ten months of the flood. The oral history account of this time given by Thomas’ younger sibling, and only sister, Jennie, states that they were able to keep the family together after the flood, but what happened after the death of their father in June of 1876 is pretty much unknown. 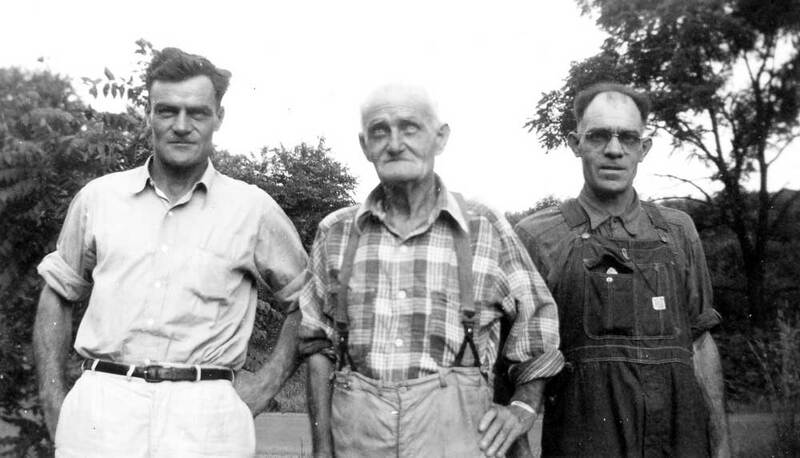 As was mentioned in week three, Christian had remained in Kansas when the family started their journey back East after successive years of crop failures. James married the Ickes neighbor, Lyde in 1879. At the time of the 1880 census, we find James and Lyde living not too far from James’ mother, Mary, in Vigo County, Indiana. We also find Mary with two of her sons, Jacob and William. Silas is working as a farm hand and boarding there, also in Vigo County. But where are the three youngest children, including Thomas? Thomas, Crawford, and Elizabeth Jane (Jennie) are nowhere to be found. I have searched the 1880 census for years looking for some clue to where they might be. I looked for those children in the households of grandparents, aunts and uncles, and cousins in Indiana, Michigan, Pennsylvania, Iowa, West Virginia, and Ohio. I’ve undertaken what amounts to a door-to-door search in Vigo County, Indiana thinking that they might have been farmed out to neighbors. I’ve searched orphanages and asylums without finding a trace. I don’t know if, perhaps, they had been placed under some sort of guardianship after the death of their father or not because I have not found any documents or newspaper articles to that note. They just…disappeared. This is not the first time that I’ve had problems finding this particular family. I have yet to find them in the 1870 census. 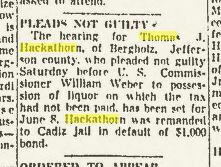 After searching for many variants of the Hackathorn surname, including, but not limited to, Heckathorne, Hagglehorn, Hickenhorn, Hackleborn, Hakeltorn, and Headstrom (yes, indeed, Headstrom), I have convinced myself that the family was probably traveling in their covered wagon somewhere in Missouri or Kansas at the time of the census in 1870. What we have are about 30 years where we know almost nothing about where the family was living and what they were up to. 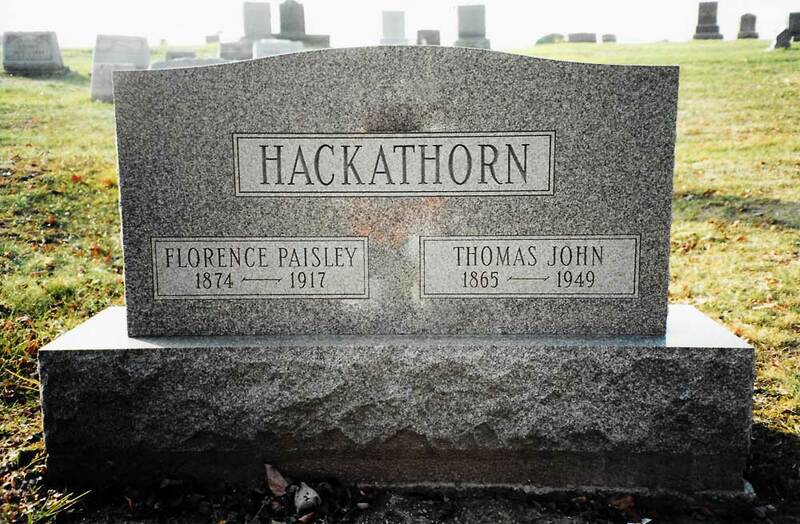 Thomas John Hackathorn was born on Sunday morning, 16 April 1865. It was Easter day and the nation was still in shock at the assassination of Abraham Lincoln. 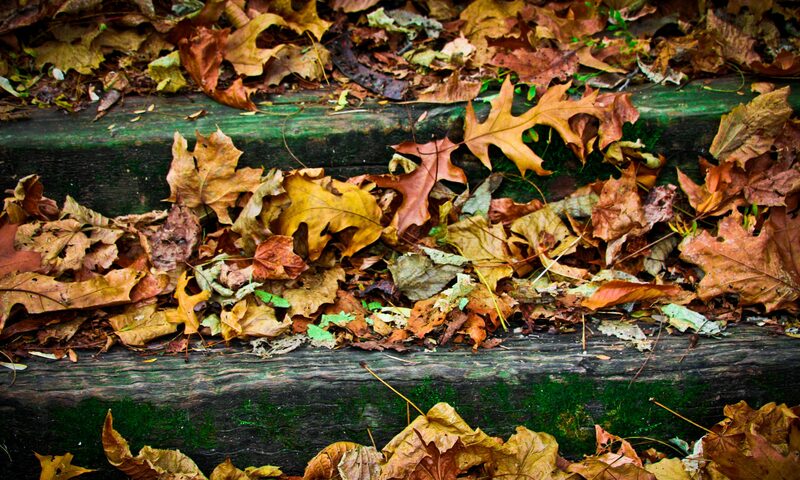 Just the week before, Lee had surrendered to Grant, the Civil War was winding down, and Jacob and Mary were itching to leave Ohio and try their fortune out West. In 1866 they began their westward trek with their older sons and year old Thomas in tow. 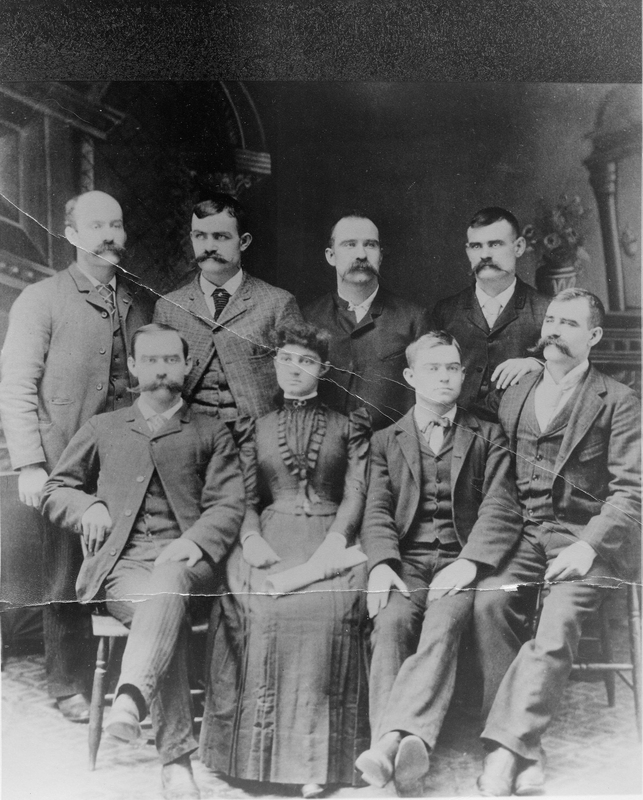 Children of Jacob and Mary Hackathorn – Thomas John second from left, back row. Until we can fill in the missing years after the flood in Indiana, we can pick up the siblings’ lives again when they have all reappeared back in Ohio – with the exception of James, who remained in Indiana. We know that, at least, William was back in Ohio when he married in 1884. Silas married in 1886. 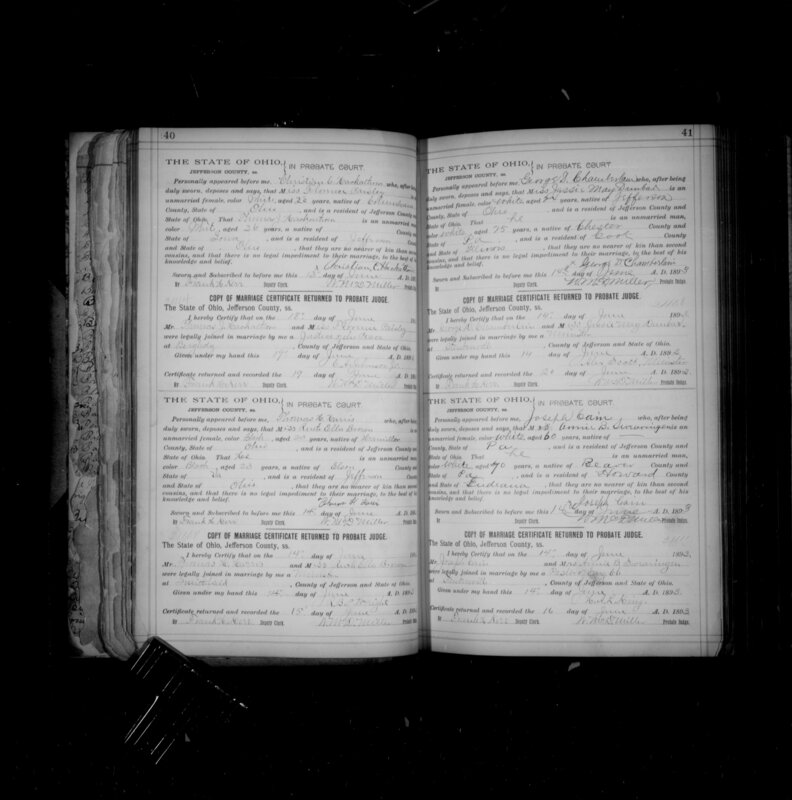 Widowed Christian was back in Ohio from Kansas and married in July of 1893. Jennie married in 1893 also, followed by Crawford in 1895, and Jacob in 1898. 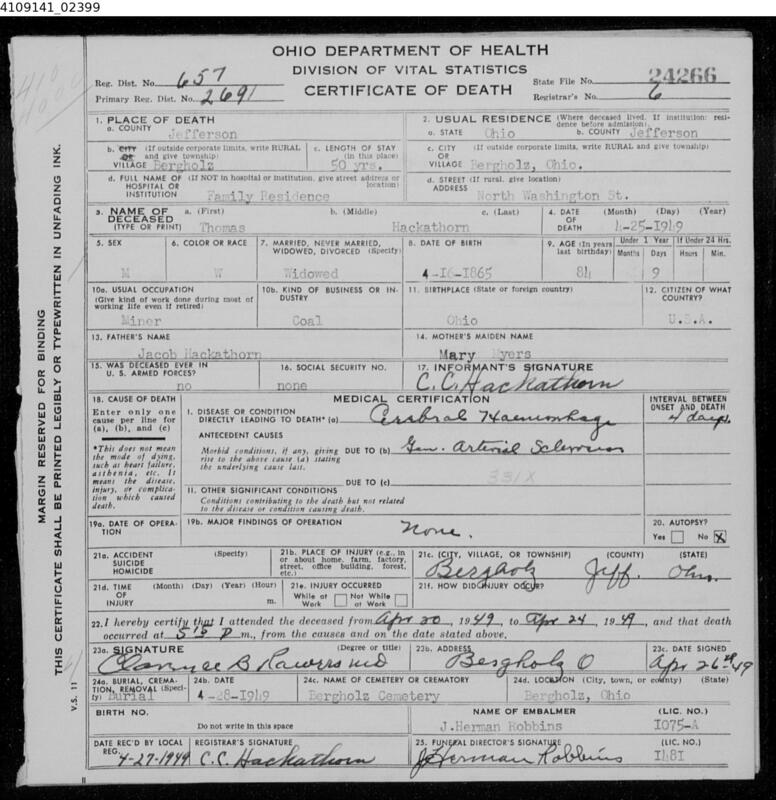 Thomas’ mother, Mary, passed away in Bergholz in December of 1896. 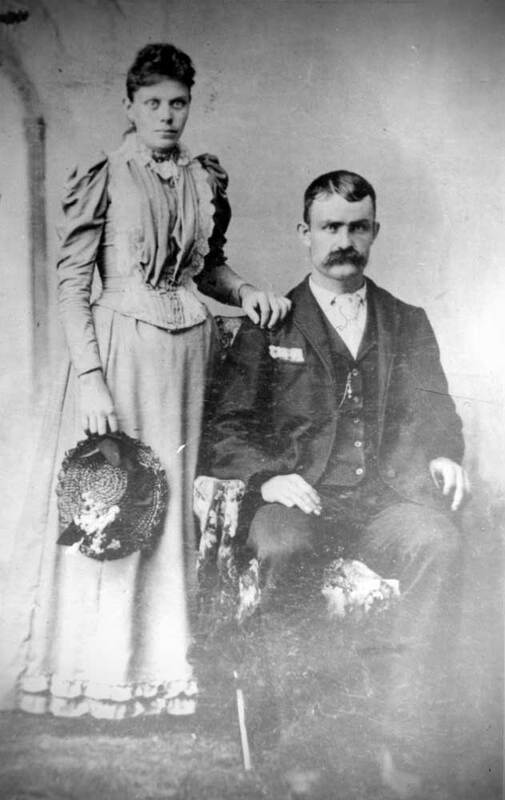 Thomas John married Florence D. Paisley on 18 June 1893 in Jefferson County, Ohio. “Several Plead Guilty Before Federal Judge.” Elyria Chronicle Telegram 13 June 1939: 1. Web. 11 Mar. 2015. 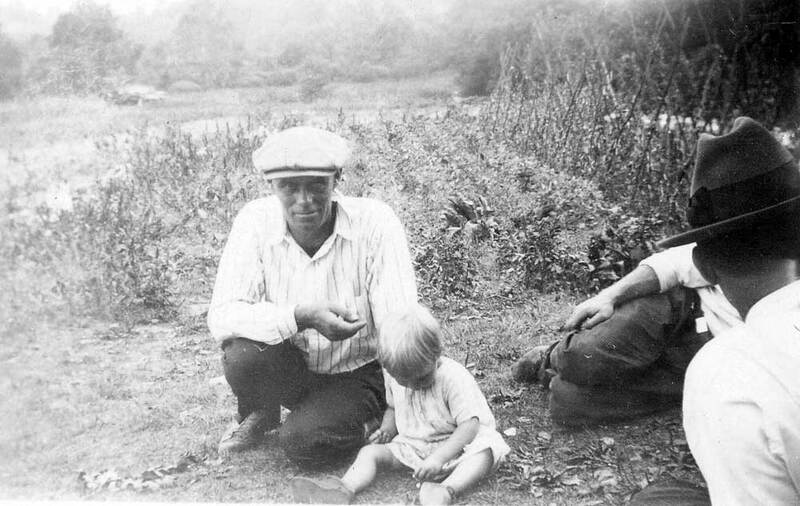 Thomas Hackathorn and sons; George, on left, and Jack on right. Photo courtesy of Merrianne Hackathorn. Thomas died 25 April 1949 of a cerebral hemorrhage at 84 years of age. He is buried in the Bergholz Cemetery. The optional theme for this week was “Stormy Weather”. “Pleads Not Guilty.” Zanesville Times Recorder 29 May 1939: 6. Web. 11 Mar. 2015. I love how you tie together your family’s story with what was happening in the world. Great post! And great story. Helen, that’s very funny! I bet that situation made for a lot of good stories! It’s always good to look at both sides of a story, at least, I think so. After doing a lot of reading about the farmers in western Pennsylvania and the Whiskey Rebellion, I am having a hard time not siding with the whiskey makers and the decision to distill their grain in order to have some kind of an income (given that it was difficult to transport goods to market in the east). It seems to me that it is akin to selling your fruits and vegetables from the back of your truck. For a nation that was pretty much settled by farmers, it’s odd that farmers had, and continue to have, such a hard time making a living. It is so amazing to be able to discover information about these natural disasters and able to learn how they effected our ancestors’ lives. It is amazing! I love old newspapers. It’s a little embarrassing how much time I spend reading them (even when they have nothing to do with my ancestors).